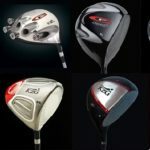 More and more golf equipment companies and golf stores are offering online club fitting as a one of their options. It is unanimous among professional clubfitters and PGA teachers that these so called “fittings” are misleading and a down right fraud. At most of these sites, the “fitting” questionnaire usually asks the golfer a number of questions, such as: “what is your club head speed?” or “how far do you hit your 7 iron?”. Most golfers don’t know the answers to these questions or their ego’s tend to exaggerate their skill level. And most importantly, the answers give little insight into your actual swing characteristics and certainly give no real data to determine what you actually need to improve your game. Many golfers actually believe they know the answers about their game. Unfortunately, it’s a proven fact that golfers do not know how far they truly hit the golf ball. They tend to overestimate their distance almost 100% of the time. And golfers generally only consider their good shots. What about the bad ones? 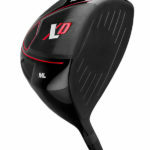 Even if the golfer had the right answers, the information still does not give the online fitter any idea about how you load and release the shaft, what is your stance, the angle of your swing, the face angle of your club at impact, the spin rates, the gapping of your clubs, just to name a few. There are so many variables, and just knowing your clubhead speed is but a small part of the formula. 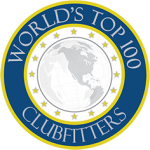 To be properly fit, you need to have a face to face fitting with a reputable professional clubfitter. And that professional fitter will need a number of things: a good launch monitor, like a Trackman; a myriad of shaft and clubhead options for testing (we have over 7,000 options at our facility in Palm Desert); and a builder they can rely on to carry out their specifications for your clubs. And how do you find a reputable, qualified professional fitter? That is not that easy as frankly there are very few truly professional fitters around the globe. So many people claim to be a qualified professional, but they really are not. 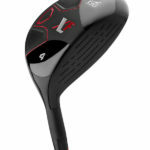 Here are a few situations to avoid: someone who fits out of a “fit bag”; someone who “eyeballs” shots rather than using a launch monitor; a store that claims all of their staff are professional fitters; any venue that has an online fitting questionnaire; anyone that only offers 2 or 3 models of driver heads, or just 4 or 5 iron head options. Another big item to look into, is who is doing the building of your clubs after you have been fit. A reputable fitter will only work with a reputable builder. You might want to ask whether the builder follows the fitting instructions perfectly, weight sorts every head, shaft and grip, spine aligns each shaft and frequency matches the full set. If the build is sloppy or wrong, the fitting was a waste of time. FACT. 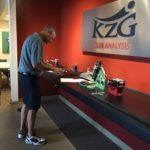 Your swing and your ball flight NEED to be analyzed and measured for you by a reputable professional fitter. Anything else is off the rack no matter what adjustments have been made to the golf club. 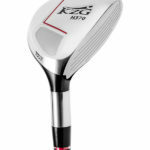 KZG deals with only qualified fitters who fit their customers in person and on a launch monitor. We wholeheartedly believe that you, the customer, deserve only the finest professional fitting available. We will not compromise. 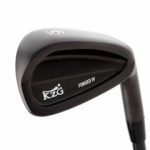 Many of our KZG Dealers have reputable builders on staff, and they may build on their site. Otherwise, they order from the KZG Build Department to assure the build is perfect. Please go to our Dealer Locator and find the KZG Club Fitter nearest to you to get yourself properly fit for your new set.